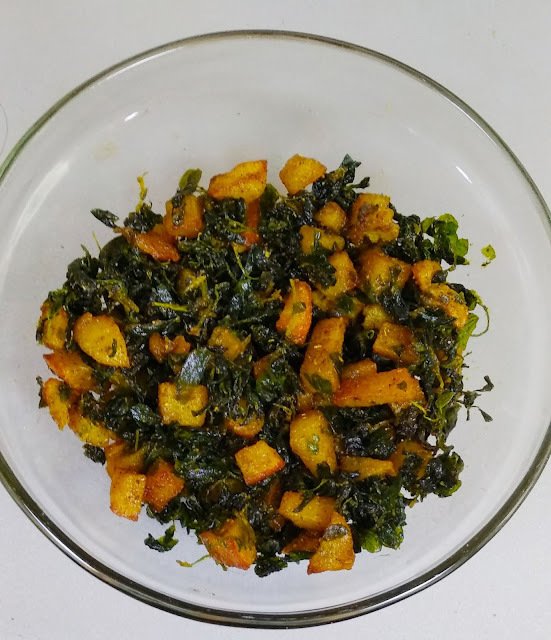 Strain maida in any utensil; add dry instant yeast, olive oil, salt and sugar. Mix all ingredients well with help of lukewarm water knead the flour. Knead the dough for 5-7 minutes until it becomes soft. Grease a bowl and place dough in it for 2 hours so that it gets fermented well. 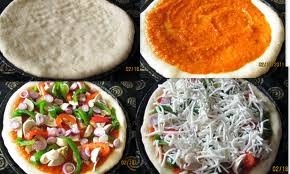 Dough for making pizza is ready.Prepare topping for the pizza:Cut capsicum, remove all its seeds and slice it thinly. Cut baby corn in small round pieces. 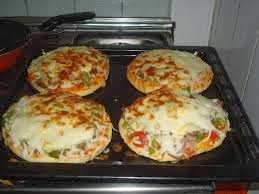 Cook vegetables for 2 minutes.Take half amount of pizza and make a round ball. 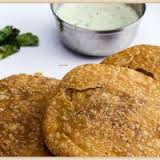 With help of dry maida make a ½ cm thick chapatti with a diameter of 10-12 inch.Preheat a pan or tawa. If you are not using non stick pan, then grease it with little oil and place pizza inside it. Cover it and cook for 2 minutes or until the lower side gets little brown. Flip it up side down and reduce the flame to minimum. Garnish pizza with topping. Firstly layer pizza sauce and then place capsicum and baby corn on the pizza. Sprinkle mozzarella cheese as well.Cover pizza and cook for 5-6 minutes on medium flame until the cheese gets melted and the lower side gets little brown. Keep checking after every 2 minutes.Very delicious pizza is made. Sprinkle some herbs on top of the pizza. Serve pinning hot pizza and enjoy eating it. Suggestion:Choose pizza topping as per your taste and desire like corn, olives, paneer, tofu or onion. Any cooking oil can be used for mixing in dough.If you are using dry yeast instead of instant yeast, then mix it in sugar and lukewarm milk so that it becomes active.